Inside view of new outlet by Hamid Electronics, Dhakki Road Hazro. Some workers are making possible Home Delivery of a Refrigerator. 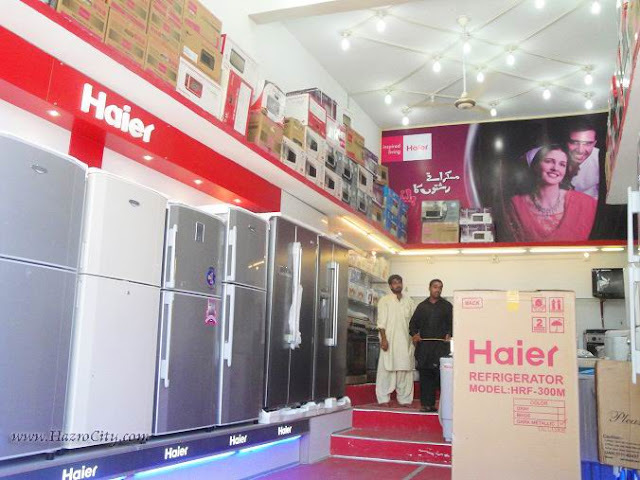 This Electronics outlet provides all type of home & kitchen accessories for the people of district Attock. Free home delivery is also available in the villages of Chhachh on some specific models (Items). 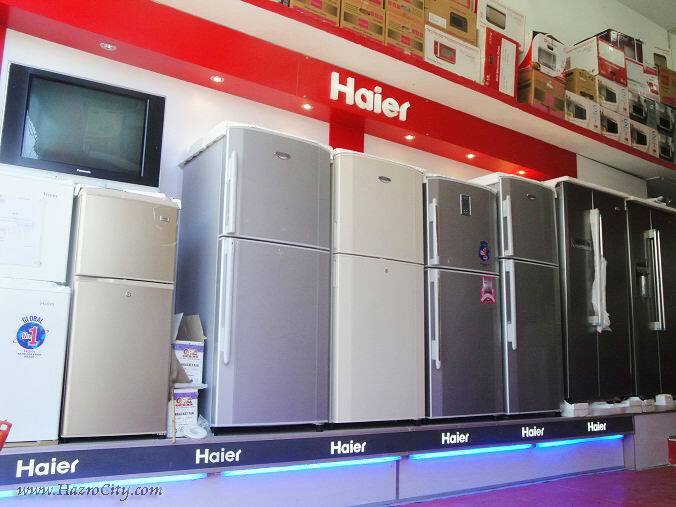 Hazro city has 20 outlets of Electronics accessories.